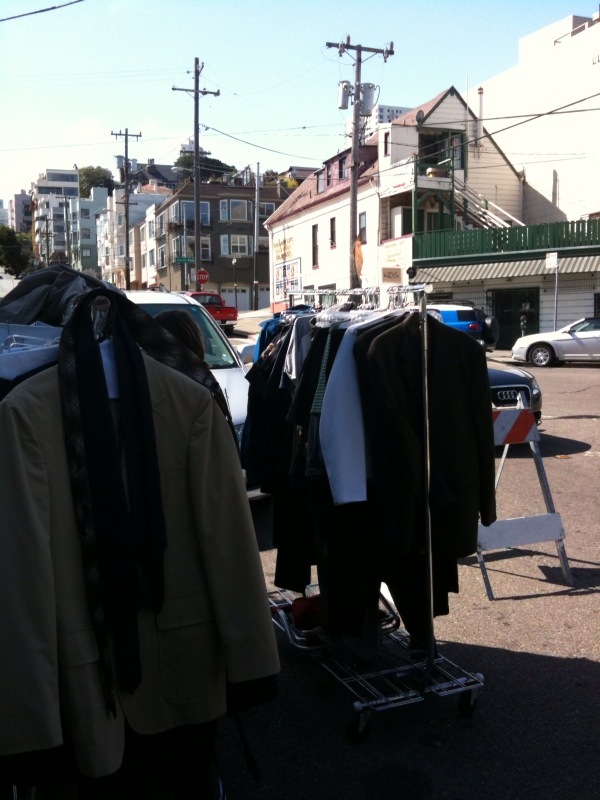 Wardrobe for "Trauma" spilling into the street. I’m playing an "upscale guest" at charity luncheon. That’s all I know so far!